I've recently just redone my driving theory test. I took my first one over 4 years ago and passed first time. Unfortunately, I didn't pass my driving practical test within that time limit which meant I had to redo my theory test. While I'm finally learning how to drive again so it was about time! The first time around I took it in the long summer holidays after my 17th birthday and revised for it, for 2 weeks straight. This time around, I booked it very last minute and the only test slot available before the end of December was 3 days later...and I knew I wasn't going to be free until the day before. I had one day to learn everything again! I was defintely stressed. Never the less, I passed and I passed well. The theory examination is split into 2 areas. The 50 multiple choice questions and the 14 hazard perception videos. You have to score at least 43 and 44 on each section to pass. For the multiple choice questions section I would simply recommend buying 2 books: DVSA Official 2015 Highway Code and The Official DVSA Theory Test for Car Drivers. Read through both of the books in their entirety and answer all the questions in the Theory book. They literally cover every single thing you need to know! If you have time, complete the mock tests on this site which are very realistic. The hazard perception test is a tricky one. If you've been driving, you have a head start because it's something you should be doing anyway so it's almost natural. Either way, success simply comes with practising on the videos. A few of the sites I've found and loved are this one and this one where you can get a free trial for 30 minutes. Sneakily, I used 3 email addresses so got 3 free trials. If you have more than a day (and a little bit of spare money), I would recommend purchasing access to all the videos in this app because they're very similar to the real thing and there are lots of them! In some respects it's a little fun because you are just looking and scanning for anything that could cause you to slow down. Do remember though, don't click constantly or in a pattern because the computer will recognise it and automatically fail you. 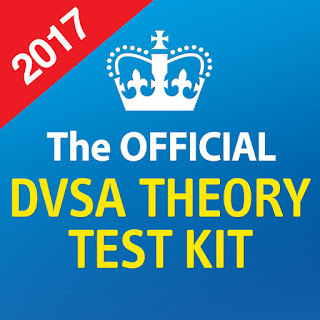 That's all the advice I have for you on the theory test. Hopefully, I will pass my practical exam within the next two years so I won't have to redo this ever again! My theory test top Tips!